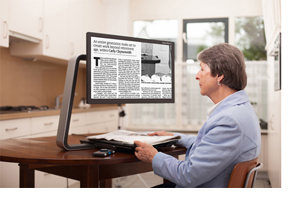 The new Optelec ClearView C is a unique desktop video magnifier for people with low vision. 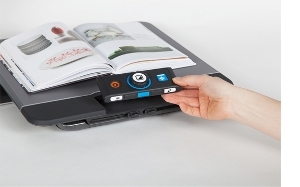 It is designed for people who need magnification to read or do their hobbies. The unique design looks great in the interior of your home and offers a comfortable reading experience. 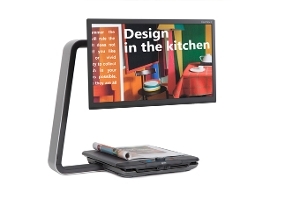 The contemporary design of the ClearView C fits just anywhere: at home, at work, at school or anyplace else. The high quality materials give it a contemporary look and feel, making it look modern and stylish. You can customize the ClearView C according to your needs. Switch from basic to advanced functionalities, create more working space with the Comfort setup, use the regular or the large reading table, and upgrade the ClearView C with several other modules. Anything is possible.